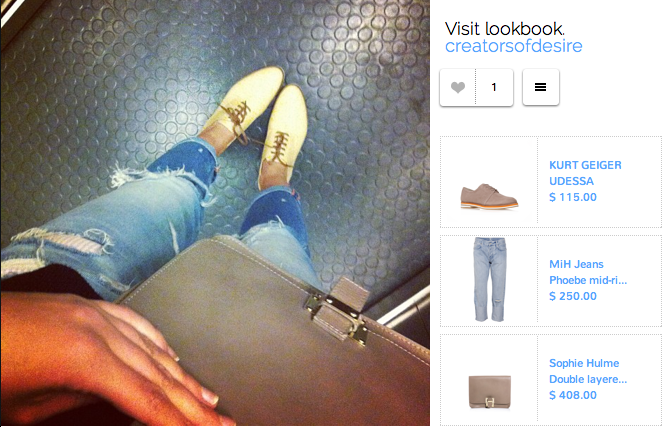 At ABCey, we’re obsessed with all things tech and digital. Yet few things compare to opening up your mailbox and seeing a little envelope with your hand-written name on it. 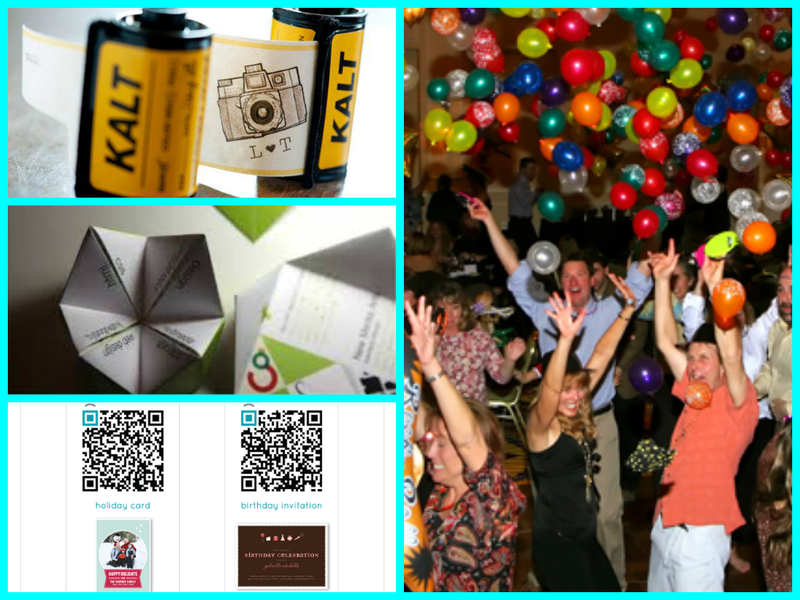 Sending prospective guests a non-digital invitation sets your event apart from the rest in our digital world. Our advice for invitations is to make them thematic, bold, and personal. 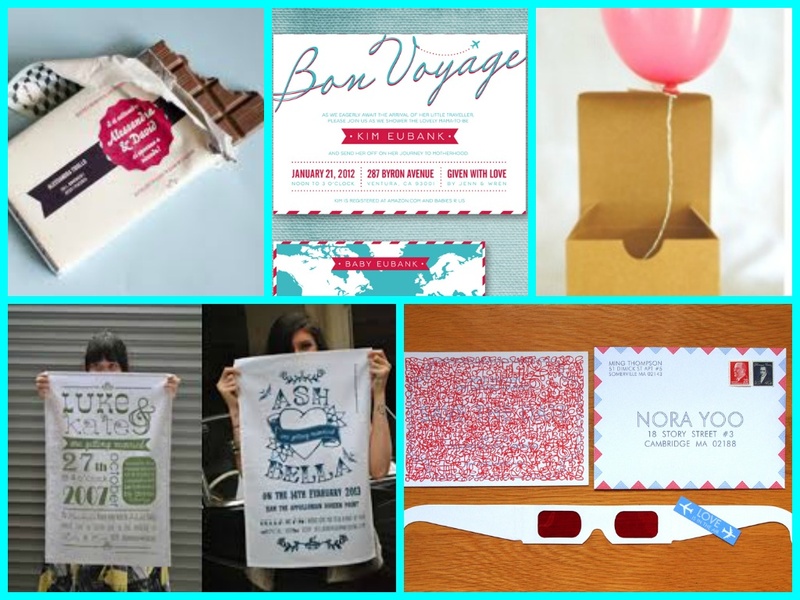 Try out these creative twists on the traditional invitation to amp up the buzz for your next event! 1. Make it Yummy | Channel Willy Wonka and give your guests a golden ticket to remember! Everyone loves to get a little something sweet, so try printing the event details on the wrapper of a candy bar or over a tin of cookies. Whatever goodies you choose, make sure they can stand the trip without damage. 2. Make it Useful | If you want people to remember your event far beyond its end, make an invitation that’s sure to stick around. This is a perfect idea for corporate or launch events to ensure your business, literally, becomes a household name! Think outside the pen and try a kitchen towel, candle, a mug, or a chip clip. Imagine any item you use daily and make it happen! 3. Make it Pop | Reading in 2D is so overrated. Make your invitees work a little with invitations you decode with 3D glasses! Using 3D is a fun way to amp up a traditional paper and envelope in the mail. 4. Make it Go | Make your next event a first-class affair with invitations for your favorite jet-setters. Even if your party isn’t a destination getaway, the same exotic feel can be achieved with luggage tags, tickets, hot air balloons, or train-themed cards and invitations. 5. Make it Open | This is one instance where thinking inside the box can be fun and surprising. Although giving away boxes full of goodies can get pretty pricy, there are ways to keep your invitations inexpensive and chic. Boxes in all shapes, sizes, and colors are easy to find for around a dollar a piece and can be stuffed with confetti or a little balloon. Using a box makes your invite seem like a special gift to your guests, and who doesn’t love receiving packages? Do you have a creative twist on the paper invitation? Tell us in a comment below or on Facebook and Twitter! This weekend’s star is the highly-anticipated picturesque weather, which is sure to usher summer into the bay area. 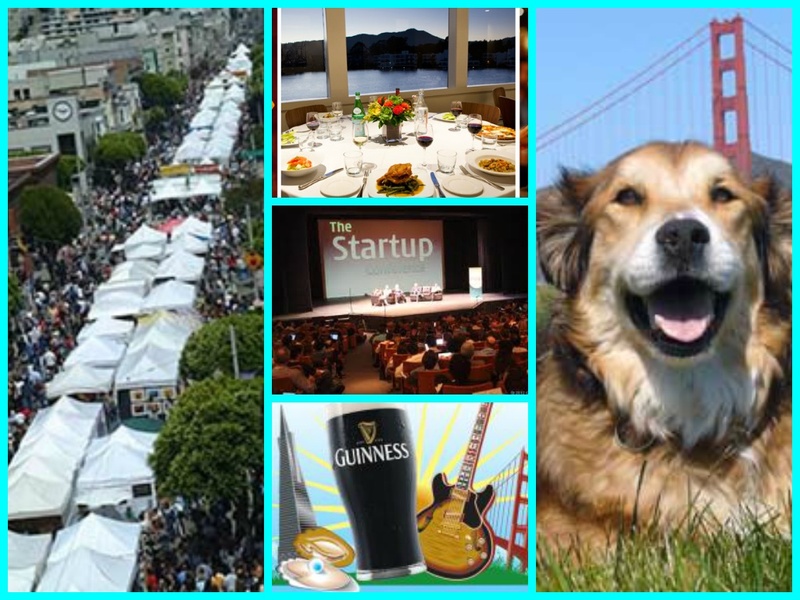 ABCey has pulled together events for everyone ranging from startup founders, oyster lovers, and ambitious dogs. Have fun this weekend visiting the events featured in ABCey’s Weekend Line-Up! 1. The Startup Conference | Thursday, May 30th | 10 a.m.- 3 p.m. | 2223 Broadway St., Redwood City | If you’re eager to learn how startup businesses start up, this is how you should spend your Thursday. In the heart of Silicon Valley amongst over two thousand entrepreneurs, you’ll learn how to pitch your ideas, find co-founders, launch your product to the press, and anything else pertaining to starting a business. You can either pay to present your ideas at the conference or attend for free and bask in the innovation that emanates from the tech hub of the country. Find the full day’s schedule here! 2. Guinness Oyster and Music Festival | Saturday, June 1st | 11 a.m.- 6 p.m. | Sharon Meadow, Golden Gate Park, San Francisco | We admit it- mixing Guinness and oysters may not sound like the best combination at first glance. But if you’re a foodie, beer-lover, or music fan, you cannot miss this event. (Let’s face it, you must fall into one of these categories!) You’ll find two stages of live music, plenty of food and beer, and oyster-themed events like a “shuck and swallow” competition and oyster cooking classes. After all, it is the largest oyster festival on the west coast. 3. Union Street Festival | Saturday and Sunday, June 1st & 2nd | 10 a.m.- 6 p.m. | Union Street from Gough to Steiner, San Francisco | If June signals the start of summer, then the Union Street Festival commences the season of street festivals! The Union Street Festival is one of the oldest and largest free festivals in San Francisco history, and there’s a reason it has stuck around. Picture an entire, normal city street transformed into a giant market for artisan goods from across America. Our advice? Grab an ice cream cone from Humphry Sloecombe and browse the wares on the jazz-laden Union. 4. Wedding and Special Events Expo | Sunday, June 2nd | 12-3 p.m. | 625 Redwood Highway, Mill Valley | Before beginning the madness of trying to please guests at your next event, spend an afternoon letting this expo host you. While you sip cocktails, munch on gourmet food, and enjoy a gorgeous view over Richardson Bay, don’t forget how much this expo has to offer. Florists, musicians, designers, and other vendors will be available to answer any and all questions you may have regarding your next special event. The best advice you’ll receive: talk to ABCey Events! 5. Million Dog March | Sunday, June 2nd | McLaren Park, San Francisco | If your dog’s bummed that he had to miss Bay to Breakers, here’s the perfect way to make it up to him! Join the rest of the bay in attempts to set the Guinness World Record for largest dog walk across three miles of breathtaking city views. Grab the leash and treat your loyal buddy to an extra special walk this weekend. What will you be doing this weekend? Tell us below in a comment or on Facebook and Twitter! This week, we’d like to credit a certain San Francisco company for daring to look inside the box for inspiration. Meet the Ninja Block, your new personal assistant. The Ninja Block has a basic “if this, then that” command feature. 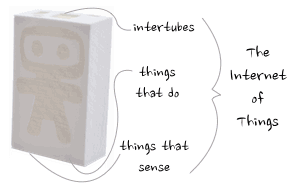 If the sensors pick up an event in your real life, like a baby crying, the Ninja Block triggers a tech life reaction, like calling the parent’s cell phone. By programming in a command in the rules app (ex: turn on the light if I play music), this handy device can do almost anything for you. The Ninja Block works as a medium between the sensors you install and the electronic world. Sensors available for purchase include motion, temperature, humidity, and contact sensors. 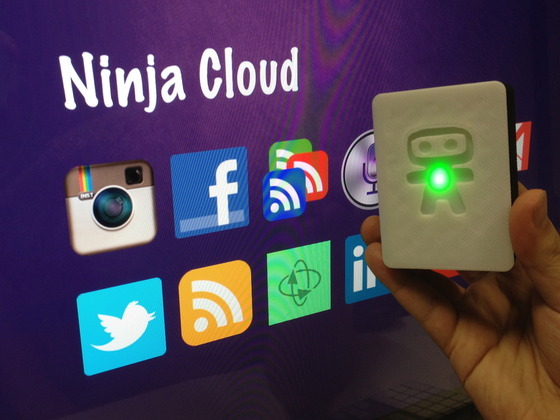 Ninja Blocks also helps you manage your online social presence by automatically sharing the input the sensors with social media. Don’t worry, it won’t say anything you don’t want others knowing! Its message is one you program in advance in the rules app. 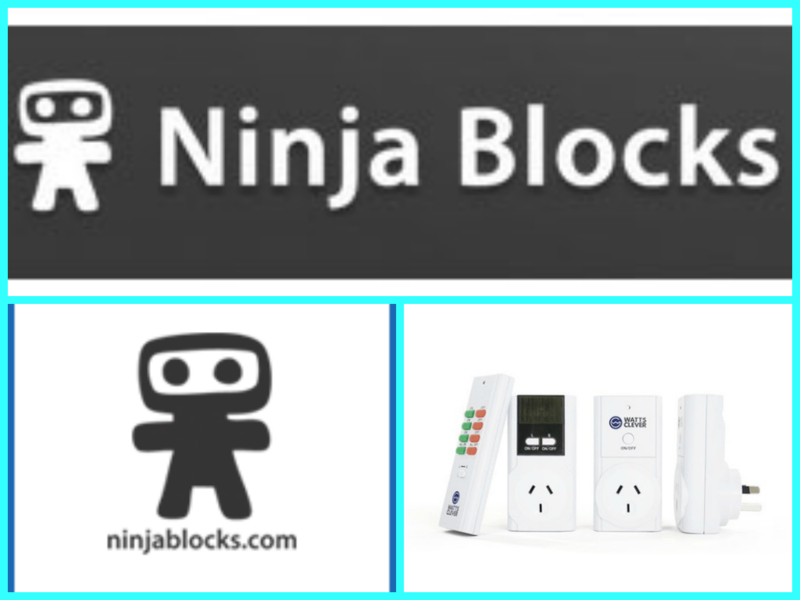 If you’re someone who loves to techify your life and home, Ninja Blocks is the perfect way to do so! ABCey loves this company because it bridges the gap between your online and offline lives and automates how the two interact. We’d love to use the feature that tweets a photo of every person entering the door at one of our events! What do you think of Ninja Blocks? Tell us in a comment or on Twitter and Facebook! In San Francisco, let’s face it: you’re always moving. Whether you’re meeting friends for drinks in the Mission or running after food trucks, this city forces a close relationship with your transportation of choice. No matter how you go, you need to go. ABCey’s favorite apps put you in control and in the know! 1. Corral Rides: Are you a fan of cab alternatives? Us too. Corral Rides is a new iPhone app that lets you see all of your transportation options in one easy list. Just input your location and destination and Corral Rides pulls up nearby options from Uber, SideCar, Lyft and even the bus schedule. You make your choice based on availability, pricing, and wait times. 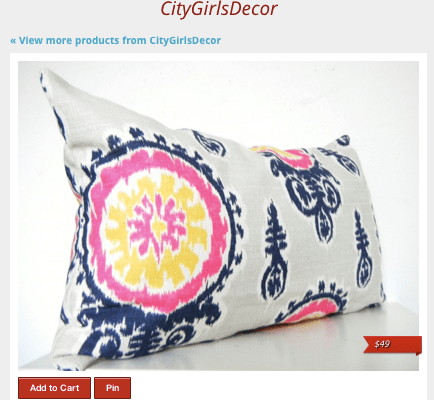 We love this app because it makes finding the cheapest and fastest way there almost effortless. 2. Park.it: Having a car in SF is great until you’ve spent thirty minutes scouring your block for a place to park. If parking in the city is the bane of your existence, Park.it can ease the pain. Park.it is an SF-only service that helps you find the nearest legal parking space before you even get to your destination. It’s even color-coded: green spots are free, yellow means metered (and shows the rate), and reds are no-go’s. Tapping on the spot you want shows the street cleaning time, any restrictions, and even the direction to curb your wheels. Say “goodbye” to tickets and tows! 3. Bikesy: Biking around the bay is a great way to get from A to B while getting in some exercise. If you feel the sometimes-impossible San Francisco hills (hint: Filbert St.) are better left avoided, check out Bikesy. Bikesy is a bay area bike mapper service that lets you input your bike route preferences, such as “Hill Reluctance” and bike lane availability. Happy riding! 4. Getaround: Are you planning the perfect weekend getaway but lacking the perfect weekend car? Using Getaround is like borrowing your buddy’s car for the weekend… if your buddies are all willing bay area car owners. Simply enter in how long you’ll need the car, select which car you want, and arrange the pick-up location with the owner. No need to worry about losing their keys while you’re off having- you can lock, unlock, and drive all with your iPhone. 5. 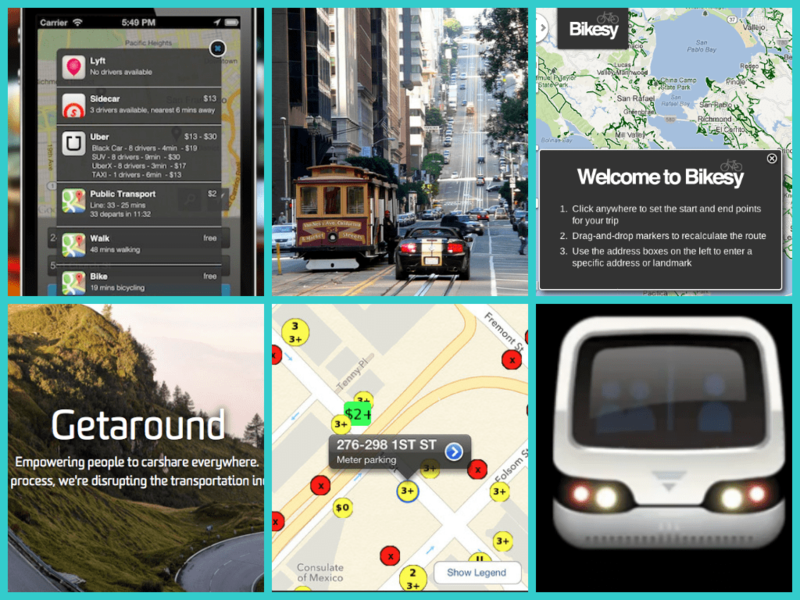 Transporter: Transporter, dare we say, might be the first accurate bay area bus app. You can select your favorite lines or bus stops and Transporter will remember them for you every time you open the app. With the swipe of a screen, you can see when the next bus is (really) coming and track your route progress as you go. When you’ve been exploring the city and don’t quite know how to get home, Transporter’s ‘near-me’ tab will find the stops and lines closest to you. You’ll never have to click your heels three times again. Do these apps or any others help you survive in San Francisco? Tell us at ABCey in the comments below! Or, share your favorite bay area insider tips on Facebook and Twitter. The wait for summer barbeques and wearing white is almost over. Spend your extra long weekend dancing in the streets, enjoying free drinks and browsing art, or learning more about technology in our innovative city! BART is planning to circulate even more trains this weekend, so you’ll have no excuse to miss out on ABCey’s favorite events! 1. Carnaval | May 25th-26th |10 a.m.-6 p.m | Harrison Street, San Francisco |Attending the 35th annual Carnaval is like stepping into Brazil in the Mission. The abundance of music, dancing, pageantry, and incredible exotic food makes this parade the largest multi-cultural celebration on the west coast. This year’s theme is Carnaval Harlem Shake, so make sure to get out there and shake along with the performers! The best part: you get to experience a little bit of Latin America for free! 2. 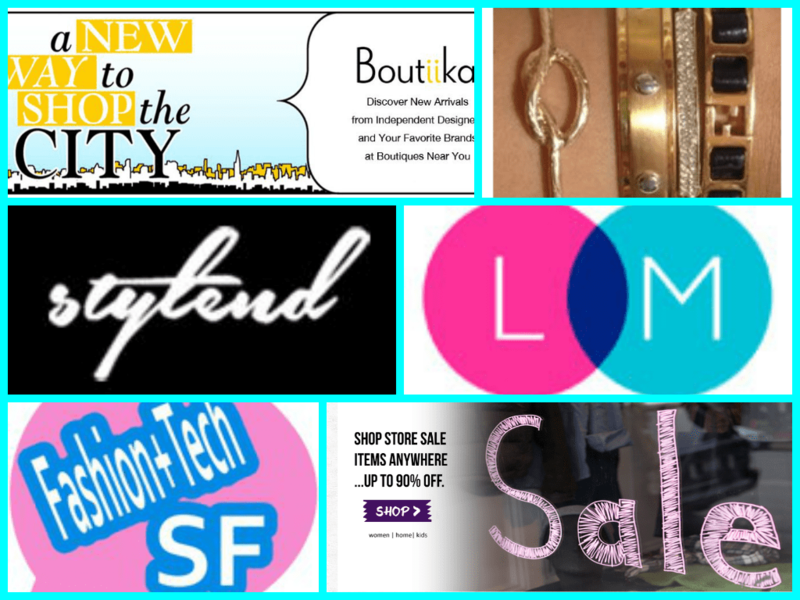 Treasure Island Flea |May 25th-26th | 10 a.m.- 4 p.m | Avenue of the Palms, Treasure Island |If you live in the bay area, you love your markets and your thrift shops. The Treasure Island Flea took those, put them outside with gorgeous views of the bay, and invited local bands and artists to join in the fun. After you’ve snagged some great antiques and a piano key necktie, grab some food at one (or more) of the food trucks and relax in the wine garden. We’ll see you in the wine garden! 3. Patriotic Music Concert |May 26th | 1 p.m. |Golden Gate Park |As part of Golden Gate Park’s “Free Sunday Concert in the Park” program, the Golden Gate Park Band will be playing selections of patriotic music all afternoon long. This event is sure to please everyone from kids to a big group of friends. Our advice is to pack a summery picnic and camp out on the grass while enjoying some great live music. There’s no better way to show your patriotism! 4. 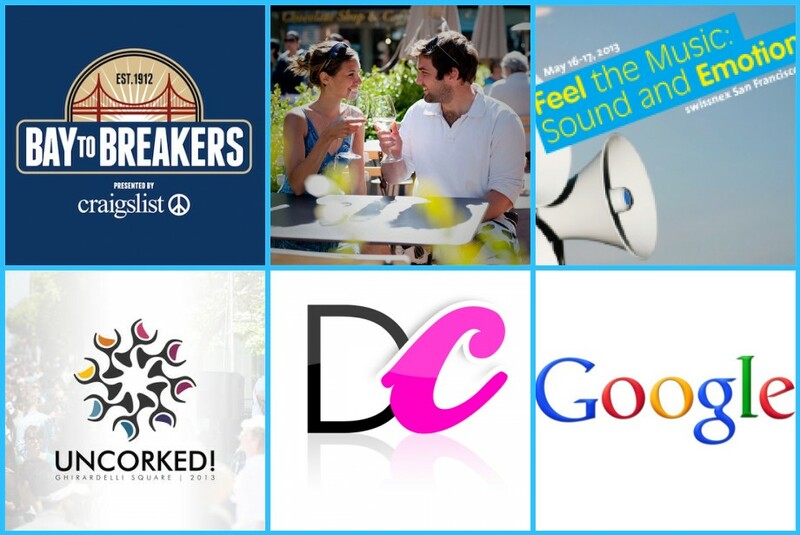 Under the Radar Conference | Thursday, May 23rd | 8 a.m.- 5:30 p.m | SalesForce, 1 Market Street #300, San Francisco |The Under the Radar Conference is truly a place for people interested in the rich tech industry the bay area has to offer. This year’s theme is “Consumerization of IT= Opportunity” and is designed to track and educate conference-goers on early stage innovation involving consumers and information technology. Thursday is a full day of lectures with interesting and engaging topics such as “Why Coit Matters” and “Mobile Enterprise.” We think the tech industry is an important part of our city and would love to learn more about it! 5. Kick Back at Art Attack | May 26th | 2 p.m.-6p.m. | 2722 Hyde St., San Francisco |All of the fun and culture usually delivered by Art Attack, a street party featuring local artists, gets a patriotic boost from Memorial Day! To thank veterans as well as patrons and artists of this event for their support, the Art Attack team is throwing a kick-back to celebrate. On their sunny back patio, DJ TED will get the party going while you enjoy the great selection of art all around you. You can bring your own food and (drum roll please) there’s an open bar! Art Attack promises, quote, hella music, hella games, and hella art! Which events will you be attending this weekend? Let us know in the comments below or on Facebook and Twitter! 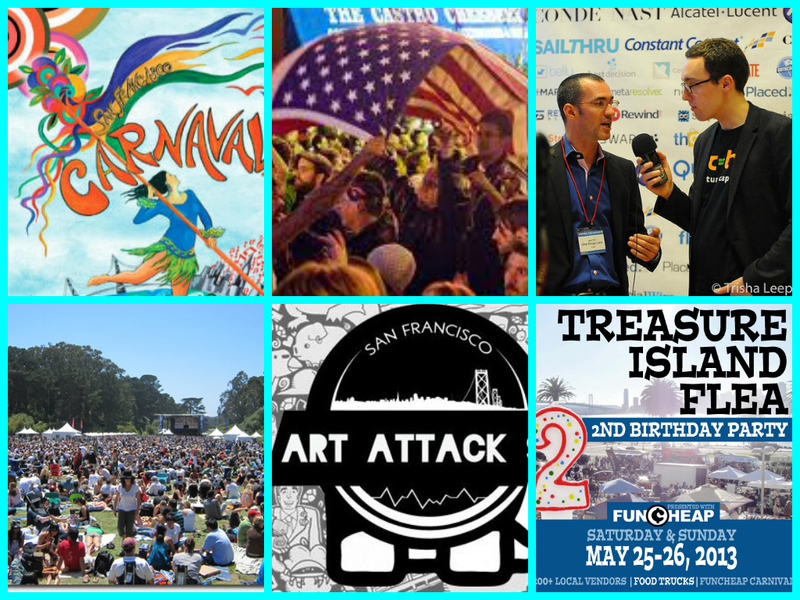 There’s lots going on in the Bay Area this weekend! Concerts, festivals, Mother’s Day on Sunday…you’re certainly not going to find yourself bored. ABCey has gathered up some events for quite a musical weekend! 1. 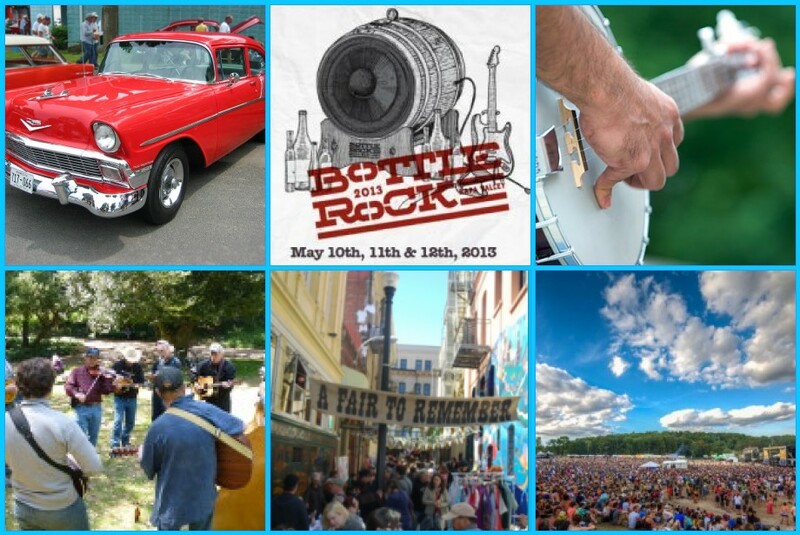 Bottle Rock Napa Valley | May 8-12 | Napa | BottleRock is a five-day, delicacy-fueled foray into the absolute best music, comedy, wine, food, and beer the world has to offer.For five days, downtown Napa will be the epicenter of a collision of music, food and wine that will reverberate for miles around. The lineup for this festival is amazing! 2. Silicon Valley-Shanghai Hackathon 2013 | May 10 | Santa Clara | Join PingWest at Silicon Valley-Shanghai Hackathon to interact with top coders, developers and designers from both US and China; inspire your peers or get inspired from others. Just bring your laptops, form your teams or find your partners onsite, then enjoy the 36 hours’ coding game, and turn your idea to demo! 3. Classic Cars, Food, Beer, Ping Pong & Art Fest | May 11 | Oakland | Classic Cars West invites you back to The Yard for a weekly daytime food, beer, ping pong, art and classic car party in Oakland. 4. 2013 Bluegrass Pickin’ Picnic In The Park | May 11 | Golden Gate Park | Sponsored by the California Bluegrass Association, this event is open to all who play or like to listen to bluegrass music. Your hosts will have a grill set up and will be serving hamburgers and hot dogs. Guests are encouraged to bring a side dish, beverages, and a jug of water. Bring your instruments, friends, and family. Chairs or blankets to sit on will be handy too. What will you spend your time doing this weekend? Let us know in the comments below or on Facebook & Twitter! Tech companies are always coming out with all sorts and sizes of new and innovative gadgets! A few months ago, Apple released the iPad mini and it’s no secret that most smartphones possess the most basic functions of a tablet. 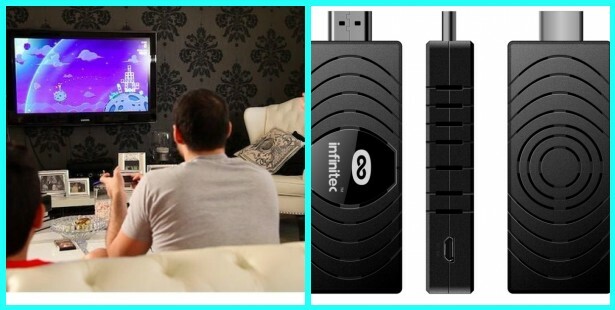 Today, we’re featuring The Pocket TV, a connecting dongle that creates a regular TV screen into a “smart” TV. The Pocket TV is a clever device that is portable (hence the name The Pocket TV) and useful. The concept is brilliant and the ways in which it can be used is numerous. With this dongle, you can easily transform a TV screen into a projector so you can give presentations during a meeting, edit a document as a team, stream videos during an event, and of course, do all your leisurely web browsing activities. With The Pocket TV, you don’t have to spend extra money renting a blank screen or a projector but simply hook up an unused TV screen to add visual flair to your next meeting or event! 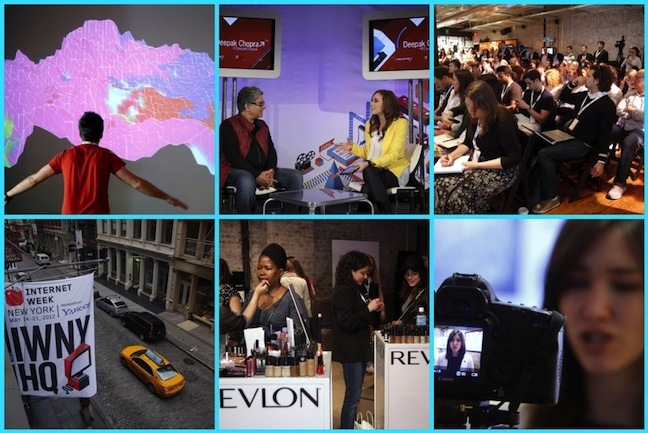 The Pocket TV is miniature powerhouse that has the potential to transform your next event! What do you think about The Pocket TV? Is this something you would invest in? Let us know in the comments below or on Facebook & Twitter!